Welcome to BEST WESTERN PLUS Airport Plaza! We are delighted that you are visiting our page. We hope you find everything you need. This small, boutique style hotel is located just two miles from Downtown San Jose and less than a mile from the City of Santa Clara and Santa Clara University. The hotel is located right off of the 880 Freeway and is only minutes from the Mineta San Jose International Airport. Travelers from all over the world have found our location to be perfect for shorter business stays, longer more detailed visits, quick flight turn around as well as for small groups. Here at the BEST WESTERN PLUS Airport Plaza, it is our mission to make your stay in the San Jose/Santa Clara area the best it can be. The recently renovated hotel is conveniently located near the Winchester Mystery House, SAP Center, Santana Row, Valley Fair Mall, Rosicrucian Egyptian Museum and Downtown San Jose which hosts a number of business and entertainment venues. Additionally, the hotel is situated only minutes from both Ayava and Levi Stadium. Enjoy all of these benefits all while staying away from the hustle and bustle that the city offers. Our friendly staff members, the clean and comfortable rooms and the best prices in the area will surely be what brings you back. Consider us your home away from home as so many already do. 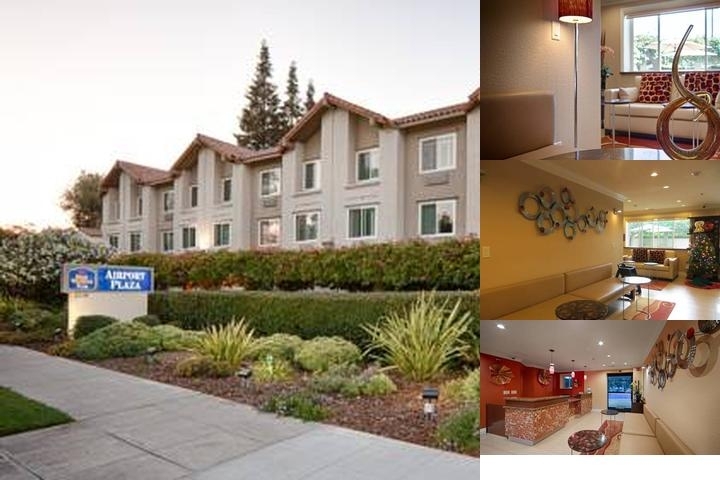 Book your peaceful stay at the BEST WESTERN PLUS Airport Plaza and enjoy the best location in San Jose! Pools hours are from 10:00am - 10:00pm everyday. Please note that during construction/renovation dates, pool/jacuzzi my be closed. Typical cancellation policy is 24 hours prior to day of arrival. 24 hours, 72 hours and non-cancellable reservations are available at the hotel. The Best Western Plus Airport Plaza offers an American style buffet breakfast. The Best Western Plus Airport Plaza offers free parking. 1 car per room per paid night. The Best Western Plus Airport Plaza offers free Wi-Fi access to guests in the rooms and lobby.